Citi is bullish on US shale. 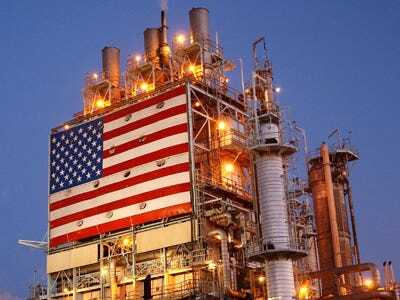 A massive new (ungated) report, “The Rapid Rise of the United States as a Global Energy Superpower” from the bank’s macro analysts, suggests that the price of oil would have to dip to somewhere in the vicinity of $US50 a barrel to completely flatten US production growth. From the outset of the report, this much is clear: Citi doesn’t believe that Saudi Arabia is going to be successful in bullying the US market by pushing prices down. The breakeven price for a well depends on a variety of factors, which the report goes through methodically (skip to page 31 for this). 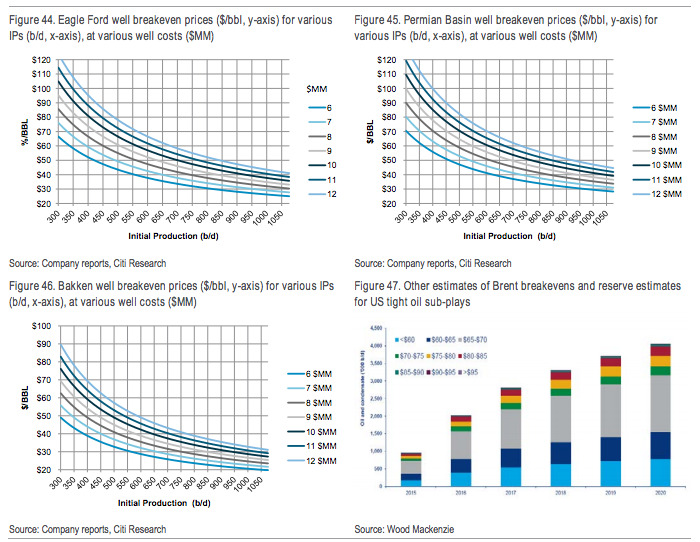 In places where the drilling infrastructure is mature and there’s not a lot of upfront capital costs in order to bring on a new well, breakeven prices are going to be a lot lower than in newer developing areas. At what price might US shale production growth be meaningfully reined in? Full-cycle capex for shale production includes land, infrastructure, and well costs (of which some 40-50% is from pumps, ~10-15% for drilling rigs) and operating costs. In mature plays where the land grab is over and infrastructure is available, the remaining capex required (“half-cycle costs”) to bring on an additional well is far lower than areas requiring “full-cycle” costs. 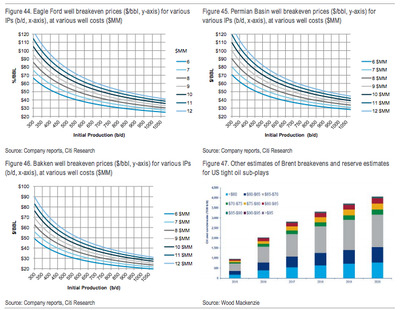 Full-cycle costs might be as high as $US70-80/bbl WTI, but half-cycle costs could be as low as the high $US30s-range. Thus, those fringe and emerging areas requiring full-cycle capex could now face a reassessment, while established areas should continue drilling and growing output. What if WTI prices go below $US70/barrel (it was below $US78 at last check)? Citi predicts a slowdown (about a 25% reduction in growth in 2015 and 50% in 2016), but not a halt, to US shale production. What would it take to completely flatten production growth? Read the full Citi report here.